Steve Fry’s music and lyrics reflect a prophetically-motivated expression of devotion. His devotional books, Safe in The Father’s Arms and God, Who Heals Our Heart will inspire you to know God’s character. Known widely for penning such songs as Oh I Want to Know You More and Oh the Glory of Your Presence, Steven has traveled the globe speaking at churches, conferences, leading mission teams, and touring with his musicals (We Are Called, Thy Kingdom Come, and Storyteller). Steve Fry shows readers how intimacy with God is cultivated. His books offer wonderfully crafted insights, combined with practical daily truths that make these books easy to read and life changing. If you are drained in spirit or simply seeking, these life-changing books are for you. The key to knowing God is worship. From jubilant praise to the very embrase of His heart, we invite everything to enter into this mysterious encouner with God's glory. 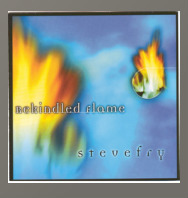 Steve Fry offers several outstanding CDs that you are sure to enjoy. 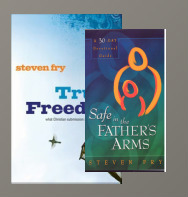 Visit our store to find out about other resources Steve Fry has avaiable for you.